Binding, binding and more binding. Seems like it is taking me forever to get the binding sewn down on this quilt. And I have to do a sleeve. But the label is on!!! I have been busy with customer quilts. 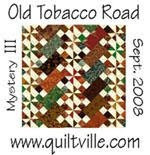 Our guild donation quilt, others made the blocks, 16 inch, so 12 blocks. I added the sashing and borders and have to quilt it. Someone else will need to do the binding. hint, hint. 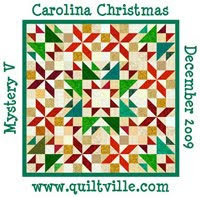 Also I am spring registrar for Quilters of SC spring meeting. So that has had me busy. We need to stuff envelopes and hopefully get them mailed by the end of the week. 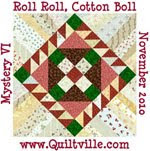 Oh, and Bonnies mystery quilt!! trying to work that in too. off to bed before I poop out right here. Looking forward to seeing your Omigosh quilt. I'm also working on Bonnie's mystery. Any idea when the vendor info will be sent out for the Spring meeting? Haven't started Bonnie's mystery yet. Customer quilts taking this vacation time. Your Omigosh is beautiful, can't wait to see the finished product. I am looking forward to pics of your Omigosh quilt as well. I have yet to start mine. I am also working on Bonnie's mystery too. And, surprise, I've started a blog, too!